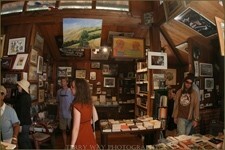 JUST ANOTHER DAY : Visual art and literature reside harmoniously at Big Sur’s Henry Miller Library. All the cool kids are collecting vinyl. It’s quirky, vintage, and has better sound, according to many. And it makes for a tactile and deliberate music listening experience: liberating a particular record from its sleeve, placing it on the player, and lowering the needle, awaiting the first belt of sound. Vinyl is poised on the threshold of a comeback. If you’re a little behind on your vinyl collection, Vinyl in the Woods at the Henry Miller Library on July 3, is an opportunity to play catch-up, score treasures from record stores based in Monterey, San Francisco, Santa Cruz and SLO, and listen to live and recorded music in a sublime setting. Magnus Toren, Executive Director of the Big Sur library, dreamt up the event, which he hopes to repeat at least once a year. In addition to the argument that records emit warmer sounds than CDs, Toren’s affection for vinyl hinges on the fact that it presents more packaging space for artwork. A song downloaded on iTunes has no graphics whatsoever, he points out. Toren describes the event as “a big listening party,” with turntables scattered throughout the space and accessible to audiophiles who want to toss on a record for the crowd. There will also be live music performed by vinyl-friendly bands, though Toren can’t yet confirm which musicians that will be. Though there aren’t any formal workshops or lectures scheduled, Toren believes that it will be an educational experience, simply by virtue of the fact that attendees will come into contact with collectors and sellers of vinyl. Vinyl in the Woods might be the first event of its kind, but it’s fairly consistent with the type of happenings that regularly occur at the library. Woodsist Fest Big Sur just concluded on June 12, and concerts are the most common type of event. But the Henry Miller Library doesn’t exclude much. On July 10 San Francisco Internet videographer Eddie Codel and copyleft FAT Lab member Jamie Wilkinson present popular web videos in an event called Viral Videos in the Redwoods. And the 5th Annual Big Sur International Shot Film Screening Series runs through Aug. 29, with between five and seven short films playing every Thursday night. The library regularly plays host to poetry and other literary events. Wednesdays are open mic nights. 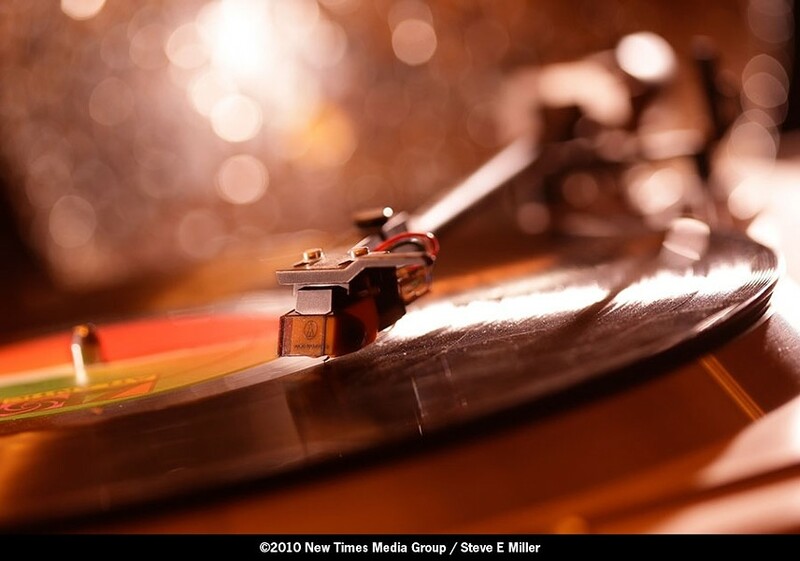 LISTENING PARTY: Vinyl in the Woods takes place on July 3, 11 a.m.-11 p.m., at the Henry Miller Library in Big Sur. The library is located on Highway One, a quarter of a mile north of Deetjen’s Big Sur Inn. For more information visit henrymiller.org. Arts Editor Ashley Schwellenbach never properly learned to say amen. Send odes to nature to aschwellenbach@newtimesslo.com.